In order to ensure that your upcoming trip to Arizona is everything you hope for, it’s well worth continuing reading in order to discover a few of the must-visit sites and attractions in Arizona. Whether you’re looking for an inviting spot for lunch or are looking to visit a stylish bar, where you’ll be able to sample delicious cocktails, wine, and beer, you should definitely add Riot House Scottsdale to your list of places to visit in Arizona. From the minute you walk into the Riot House Scottsdale you’ll be blown away by the tropical decor, which includes glasses which are shaped like flamingos as well as tropical palm print decor. You can even stay late and party on by ordering Scottsdale Bottle Service which will have you feeling good and happy in no time. 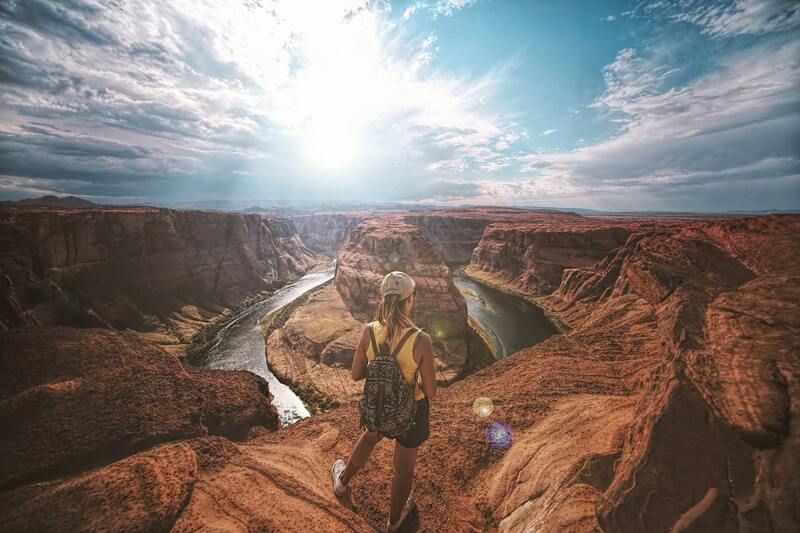 One of the main reasons why tourists flock to Arizona is to explore Arizona’s scenic hiking tracks, which offer phenomenal views. If you’re a keen hiker, it’s well worth making a trip out to Papago Park, which features multiple hiking tracks and a zoo. Whilst visiting and exploring Papago Park, follow the marked track to Hunt’s Tomb a white triangle shaped tomb which contains the bodies of George W.P. Hunt and his wife. If you’ve never heard of Hunt, Hunt served as the very first governor of Arizona. Antelope Canyon is an Instagram worthy sandstone geological formation that is well worth visiting, in order to take stunning photos on your trip. It would be a real shame to visit Arizona without seeing the Grand Canyon with your own eyes. If you’re interested, you may want to book a helicopter flight through the Grand Canyon, in order to enjoy a bird’s eye view of one of the largest canyons in the world. Even if your time in Arizona is limited, you can’t go wrong visiting the Grand Canyon National Park. If you see yourself as an adventurous individual, you’ll have the time of your life at Grand Canyon Village, which offers campsites, which you can stay at as well as companies who offer whitewater rafting and kayaking tours. So if you’re looking for a bit of an adrenalin rush and are keen on being active on your Arizona trip, it’s well worth spending an afternoon or a few days exploring Grand Canyon Village. Monument Valley which features red monoliths and sand and which is frequently used as the backdrop for many western themed films is well worth visiting. As you’ll feel like you’ve just stepped onto the set of a Hollywood film. Havasu Falls boasts a blue-green freshwater pool, which is the perfect place to take a refreshing dip on your Arizona trip. If Havasu Falls looks familiar, that’s because it often features on postcards and travel photos of Arizona. Better yet, Havasu Falls happens to be located on a traditional Indian reservation, which you can visit, if you book ahead. So if you can’t wait to explore Arizona, don’t forget to add all seven of the sites listed above to your Arizona trip itinerary.